I started my writing career later than most. At least compared to many of my twenty-first century peers. And I worried I’d waited too long. Actually, I had a lot of strikes against me. I was sure I’d made my bed, and had no opportunity to make another. But I was wrong. If it hadn’t been for a persistent push from God, I doubt I’d be writing to you now. But He continually convicted me through the Parable of the Talents, Matthew 25:14-30. You see, I was the wicked and lazy servant who’d buried her gift. However, God truly is merciful — and encouraging. Over a period of a few years, He used five real-life examples to show me it’s never too late to write. The first lived in Missouri, like I do. Laura Ingalls Wilder and Rose Wilder Lane, two of the most inspirational writers I’ve ever studied, called Mansfield, Missouri home. Rose schooled her mother on how to formally pen those wonderful classic books, the Little House on the Prairie series. But the most amazing part was learning Laura was sixty-five years old when the first best-selling manuscript went to her publisher. Strolling through her grounds recently, I imagined her gnarled hands scratching out stories from memory onto pages of paper. She finished her final book at age seventy-six. Another author who started late was Frank McCourt, also publishing in his mid-sixties. The wisdom of time and experience propelled Angela’s Ashes to the top of global readers’ favorite lists. At forty-five, Raymond Chandler, (who I share a birth date and month with), finally broke into publishing success, after struggling from the time of his youth to make his professional mark. In her fifties, Mary Wesley published a few children’s books without notice. However, in her seventies, she took the world by storm with her first novel, Jumping the Queue. James Michener is a well-known name for those who know writing. But some don’t realize his fifty year Pulitzer-prize-winning career didn’t start until he was fifty, continuing until his death at age ninety. His last book published posthumously. 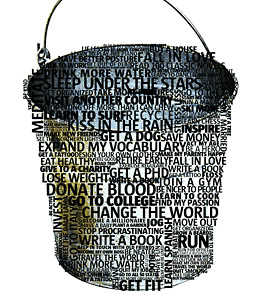 What Does Your Bucket List Say? No matter what encourages you, whether it’s real-life examples, spiritual promptings, or the example of a writer who did, though I feared I wouldn’t, let something spur you on. Age, location, past failures, naysayers, none of those things matter. If you are willing to learn, to listen, to do the work, to learn some more, to listen some more, then work some more, you will see results. Maybe not at the caliber of some of the names listed here, but at the level you are supposed to achieve. This leads me to one more thought — actually it’s a question. What encourages you to write on? This entry was posted in Encouragement, Publishing, Writer's Life, Writing, Writing Craft and tagged angela's ashes, anita brooks, believe god, believe in god, frank mccourt, james michener, jumping the queue, laura ingalls wilder, little house on the prairie, mary wesley, never too late to write, Parable of the talents, raymond chandler, rose wilder by Anita Agers-Brooks. Bookmark the permalink. Count me in the crowd that did not know Michener started until his 50’s. This is an inspirational blog post, thank you. I am so glad you feel inspired. Write on — and enjoy every step of your journey. Thanks for posting this information. I started writing when I turned fifty and have worried I started too late. But I can’t stop! Wow, just what I needed on this Monday morning! Been struggling with the age thing off and on for a couple of years. Knew there were some ‘older’ success stories, but did not know of most of the ones you have described. Great encouragement! Thank you! Isn’t it awesome how God sends these tidbits of encouragement just when we feel like giving up? I am honored He would use me to spur you on in your gifts. I’ve dabbled in writing poetry for many years but never got serious about writing until I retired. Now I’m close to 70 and seriously writing my first novel. It is good to have a group of ladies who critique each other’s works. I have learned much from them and our group spurs me on to continue to follow God’s direction in writing what is on His heart. Anita…I am in the midst of writing my memoir, “Becoming What I Might Have Been.” This is a partial quote from George Eliot (Mary Ann Evans) “It is never too late to become what you might have been.” I started college at 51. I am a writer and a psychotherapist now, and at 63 I am just now writing my first full length manuscript. A friend posted your blog post to our writers critique group and I know we are all encouraged by it. Thanks! I am honored by the posting to your writer’s critique group, and encouraged by your own story. And I LOVE the George Eliot quote — how true. I believe we spend a lifetime chasing our truest selves, but how exciting when we actually start catching up with us. I pray blessings over your manuscript. Thank you so much for this. I’m sixty-seven and have just finished writing my very first (long dreamed of) book. I don’t know what will become of it, but it is so fulfilling to work on the dream. I have learned to do my best and leave the other part in God’s hands. What an accomplishment — Proverbs 23:14 comes to mind. “Hard work leads to profit while mere talk leads to poverty.” Not sure what your profit will look like, but I trust it will be amazing. What an inspirational post! I had no idea Laura Ingalls Wilder or James Michener did not start their writing careers earlier in life. I turned 63 this year and launched my blog in February. I have no aspirations to write a novel, but I am thoroughly enjoying writing my musings and making such wonderful friends in the blogging community. My father has often said the antidote to growing old and having to give up some passions is to always be seeking something new. He is a wise man! Wonderful encouragement, Anita. 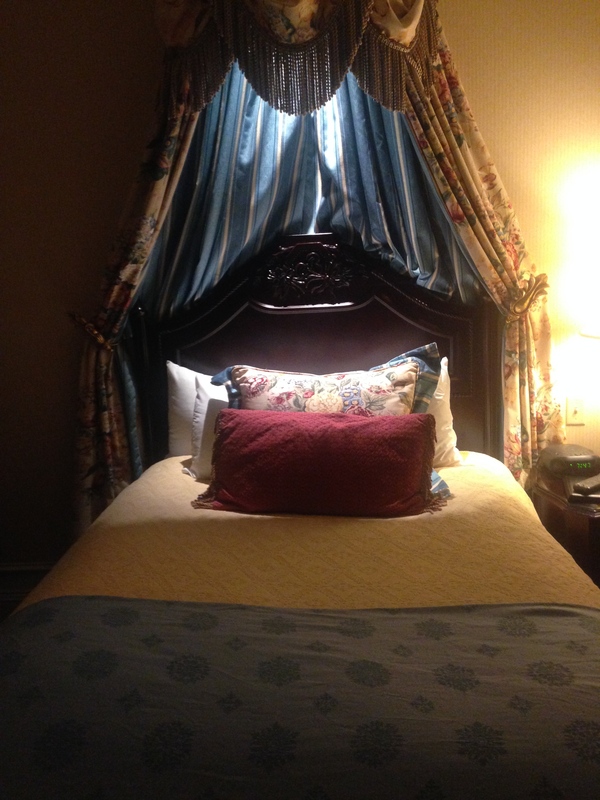 I have finished one novel, and have three others “in work” – the latter three set in south east Missouri. I’ve written all my life but haven’t pushed and now am experiencing the “too late?” syndrome. I’m 80. Blessings on your work! Hi Lois, you are the epitome of, “It’s never too late.” Can’t wait to read your work. Good encouragement not to quit. At 74, I just got my first contract, and am well into the sequel. Another inspirational post. Thx, Anita!